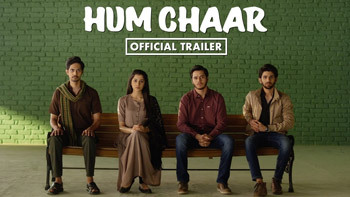 Hum Chaar Official Trailer - Aaya mausam dosti ka!! Hum Chaar kyunki Friends Bhi Family Hain. Trailer out now. The movie stars Prit Kamani, Simran Sharma, Anshuman Malhotra and it is directed by Abhishek Dixit.